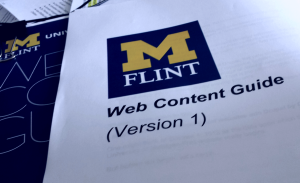 The link below goes to a PDF of the first iteration of the UM-Flint Web Content Guide. This version is intended to help departments “plan, structure, and maintain meaningful content.” It does not include information specific to the new Drupal content management system (CMS). This version focuses on the “what, why, and how” of defining and developing meaningful content regardless of content management system used. It also features links to examples and resources not available in the PowerPoint slides. 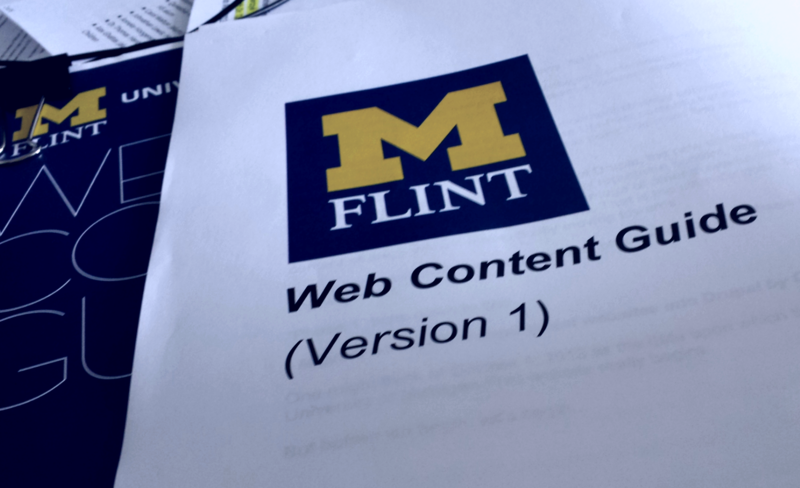 The link below goes to the PowerPoint slides presented at the July 18th UM-Flint Content Workshop. These slides are based on the Web Content Guide above. NOTE: Detailed steps for “How to Conduct a Card Sorting” are included in the PDF version, not the PowerPoint.